It's for sure most cracks don't rattle or buzz. 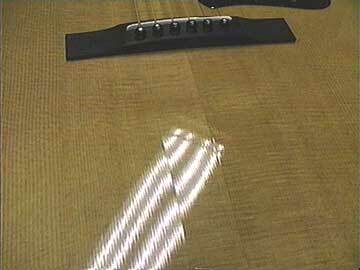 In fact, it's truly amazing how severely an instrument can be cracked without influencing the tone. Cracks may or may not be associated with loose and cracked bracing underneath. And that's a another good reason to repair this crack. Unrepaired cracks can get worse, lead to other damage, and just plain look nasty as they get black with dirt. Cracks have a habit of buzzing intermittently, and being difficult to diagnose as the cause of body buzzes. In the process of diagnosis, it's perfectly reasonable to damp the vibration of the crack as you play the offending notes, but remember that you may also be damping a buzz that originates somewhere else. For example, if you press downward on a crack, you might be influencing a brace with a crack or looseness in the opposite end, away from where you are pressing. Faced with a mysterious body rattle or buzz, it's best to fix the cracks and repeat the diagnosis.